Raphael Diaz is one of the players that has made the final roster cuts. Photo courtesy of Getty Images. The Rangers made a few more significant cuts following their win over the New Jersey Devils, cutting down the roster to just 25 players; 15 forwards, eight defenseman and two goalies. 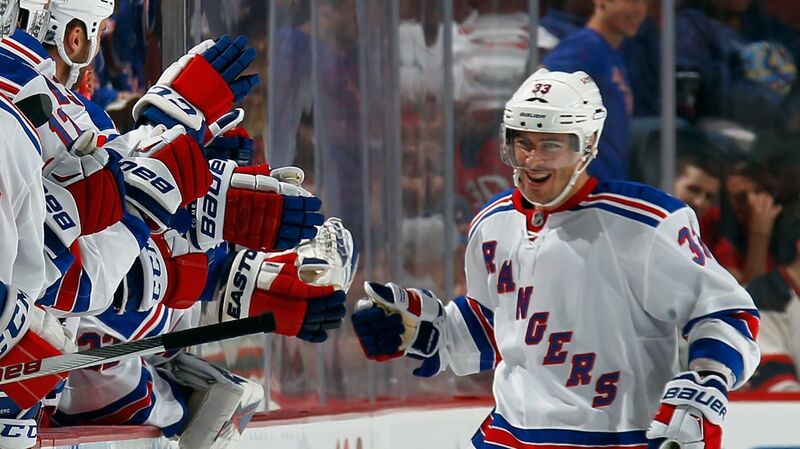 Vigneault will have to cut two more forwards and likely one defenseman. The Rangers reassigned Luke Adam, Ryan Bourque, Brian Gibbons, Ryan Graves, Chris Summers, Mat Bodie, Brady Skjei and Magnus Hellberg, and they will report to Hartford’s training camp. Oscar Lindberg will start his fourth consecutive preseason game tonight in New Jersey. Photo courtesy of MSG Photos. As Vigneault said, the Rangers continued to make their roster cuts, reducing to just over six forward lines, 12 defensemen and three goalies. With just three preseason games remaining, we’re in the final stretch of roster decisions. 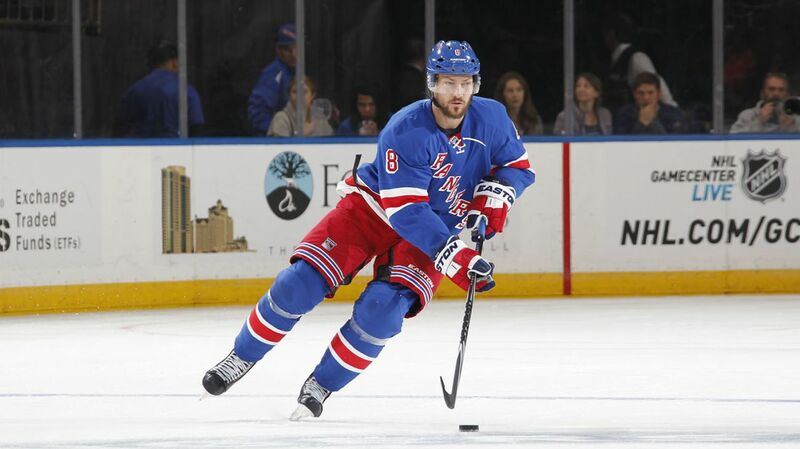 The Rangers assigned five players to the Wolf Pack training camp. Marek Hrivik, Brett Bellemore, Adam Tambellini, Tommy Hughes and Jeff Malcolm all reported to Hartford for their camp. 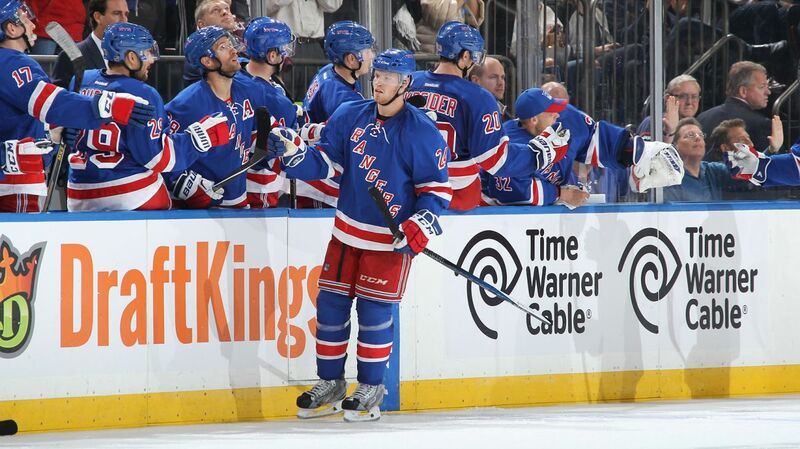 The Rangers received their second loss of the pre-season against the Bruins at TD Garden in Thursday night’s matchup. Some key players to watch this preseason are Hayes, Gibbons, and Oscar Lindberg from the Rangers’ lineup. Patrice Bergeron and Spooner from the Bruins stood out, as well. Some familiar faces, including Glass, Nash, Boyle, McDonagh, Brassard, Yandle, and The King, Lundqvist, were back in action for the Rangers.